Over 3 months of intensive high-level corporate training with interactive modules covering all aspects of public relations: The Meaning And Development Of Public Relations, Ethical And Legal Issues, Strategic Process, Media Specialisations, Internal Public Relations, Crisis Management, Political Lobbying, Outreach, Tools and Techniques, Sponsorship and Community Relations, etc. In addition, in-depth Online PR and Event Management modules are included in this course. Practical skills training delivery from leading industry professionals. All of Fitzwilliam Institute’s public relations trainers are top industry professionals with many years of successful public relations experience across a broad range of industries. Fitzwilliam Institute’s cutting edge program in public relations contains the core and vital public relations industry key skillset and, on completion, all of our students are industry-ready. This course also features a number of guest speakers from the public relations industry. Real life public relations briefs. Fitzwilliam Institute’s world-class diploma in public relations offers practical and specific public relations skills that can be applied in real world situations - "The Apprentice" style. You will gain exposure to invaluable public relations toolkits and prepare a real life public relations brief, enabling you to develop your public relations portfolio. The course project is aimed at providing you with the confidence and ability to take on and create public relations campaigns for any organisation. A combination of case studies, interactive group sessions, presentations, and questions and answers allows you to gain transferrable skills and invaluable experience, in real-life situations, which will prepare you for a successful future in the industry. Pitch and presentation skills. Fitzwilliam Institute’s Diploma in Public Relations course guides you through all of the stages of creating and planning a public relations campaign, finally producing a public relations pitch which can be used as a template for future public relations proposals. A special feature of Fitzwilliam Institute’s PR course is the time devoted to developing your pitching and presentation skills. Public relations jobs, networking and volunteer opportunities. With over a decade of industry experience, Fitzwilliam Institute is extremely well placed within the public relations industry. PR employers are always looking for Fitzwilliam Institute students and alumni. Fitzwilliam Institute’s website features a comprehensive jobs and volunteer opportunities section. 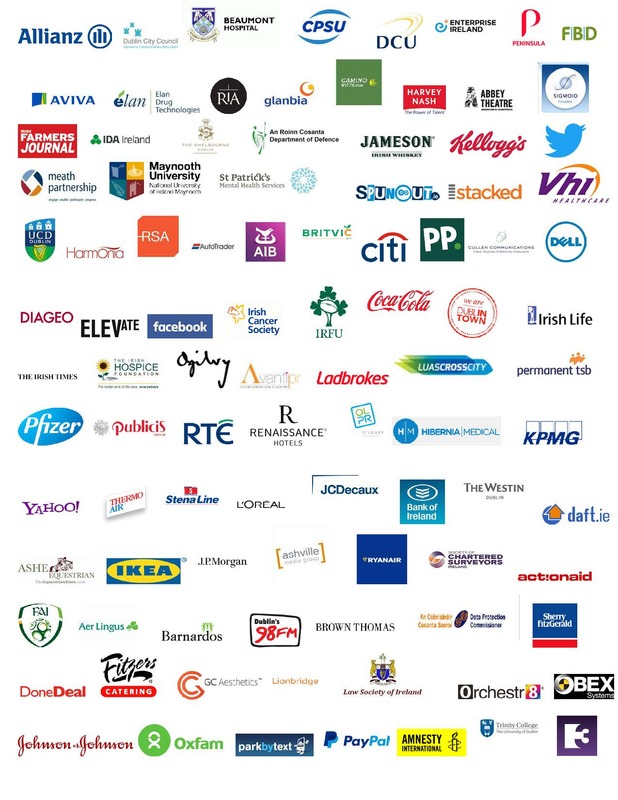 Corporate, Consumer, Business to Business; Voluntary Sector; Financial Public Relations, including Communicating financial performance; Public Relations during mergers, takeovers, share offerings; Shareholder communications; Public Relations' role in the Annual Report Accounts; Technology; Healthcare; Tourism; Environment; Agriculture; Sport. Definitions and typologies of crises; Crisis management plan and crisis management team; Communicating in a crisis; The aftermath of a crisis; Reputation management. Managing relationships with activist groups; Coalition building and third-party endorsements; Working with trade associations, unions, and charities. Interest groups and lobbying; How to influence public policy; Planning and managing lobbying campaigns; The role of coalitions; Public affairs: Integrating lobbying and media campaigns; Involving the public in lobbying campaigns. Press Release Writing: Date; Headline; Structure; Wording; Contact Details; Note to Editor; Structuring a press release - The inverted pyramid model; The appropriate use of language for press releases; As part of the teaching of this section, students will also cover issues such as, being able to provide reasoning for the press release content, distribution lists, additional information to be added for a press pack, a description of a photographic idea and caption. Writing styles for different media and publics; Analysing a number of press releases, and the media coverage generated. Business Material for Public Relations: Writing proposals, business plans, presentations, reports. Writing for Publication: Writing feature articles – structure; headlines; awareness of readership; use of language; Writing news articles; Awareness of the journalist's agenda; Writing for the Internet. Grammar: The Basic rules of grammar. The elements of the mass media in Ireland - TV, national and local radio, national and local newspapers, trade publications, specialist and consumer magazines, the Internet; The functions of different people in the media; The Relationship between Public Relations and the media: What the mass media needs from Public Relations; What Public Relations needs from the mass media; The factors involved in building effective relationships with the media; Dealing with the mass media: Pitching stories, interviews, press conferences, photography, media relations in a crisis; Publicity versus press relations. BCI, NUJ, NNI, ASAI, Press Council, Office of Consumer Affairs, Consumers' Association of Ireland. Definitions; Historical development; Market research and information; Products; Branding; Marketing communications; Marketing segmentation; Marketing management and organization; The role of Public Relations in marketing management; The advertising industry and professional bodies; Codes of practice; Advertising agencies; Selecting an agency and working with it; Advertising campaign planning and management; Advertising media; Types of advertisements - magazines, newspapers, posters, billboards, ambient advertising; The relationship between advertising and Public Relations. Event management planning; Coordinating events; Marketing events; Event risk management; Corporate event management; Organising conferences; Exhibition Management; Sporting event management. Each student must submit a substantial project based on a real-life PR Brief on a subject allocated to them by the Institute.